Nam Nguyen sometimes brings his aunt Bich Nguyen to meetings. Bich has been in America 20 years longer than her nephew, and her ability to understand and speak English is better. 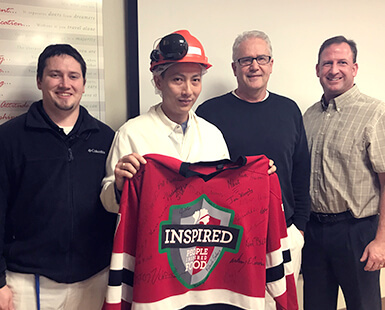 That said, there is no communication barrier when it comes to Nam’s understanding the Cultural Beliefs of Hormel Foods and what it takes to succeed. 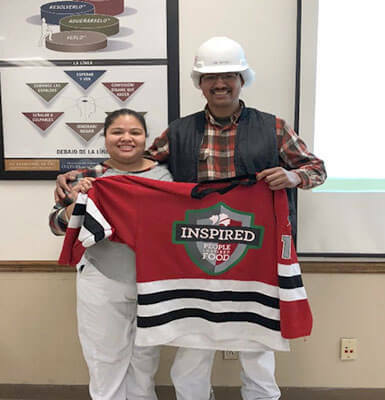 “Nam is always willing to go the extra mile,” says Jose Rembao, a supervisor in the sanitation department of the Austin (Minn.) Plant. 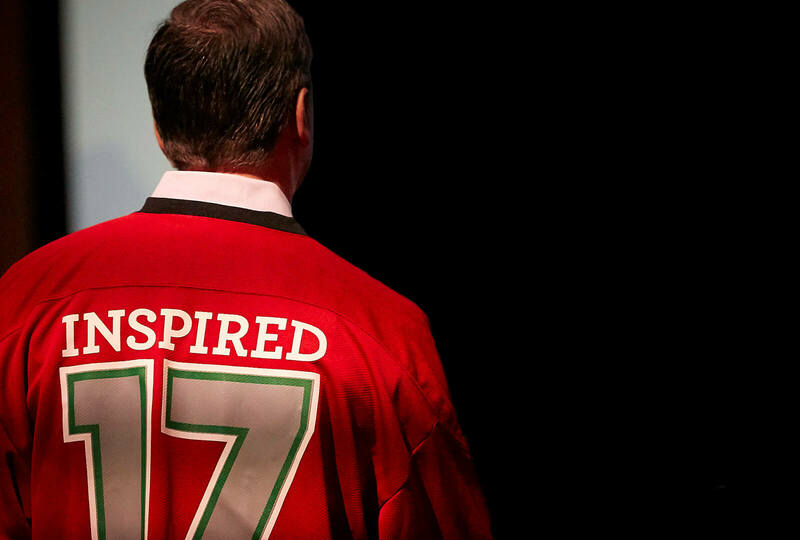 Jose was steadfast in his belief that Nam deserved to wear the Hormel Foods jersey and so, he nominated him for the honor. It wasn’t a hard sell. “He has the what-else-can-I-do? mentality,” Jose says. 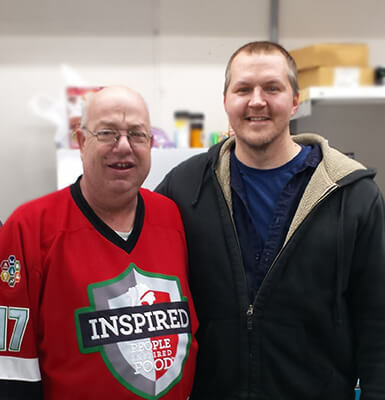 Nam was proud to be chosen for the Pride of the Jersey award, a distinction reserved for those who embody the values and culture of Hormel Foods. But in his mind, the company – not he – deserves the accolades. 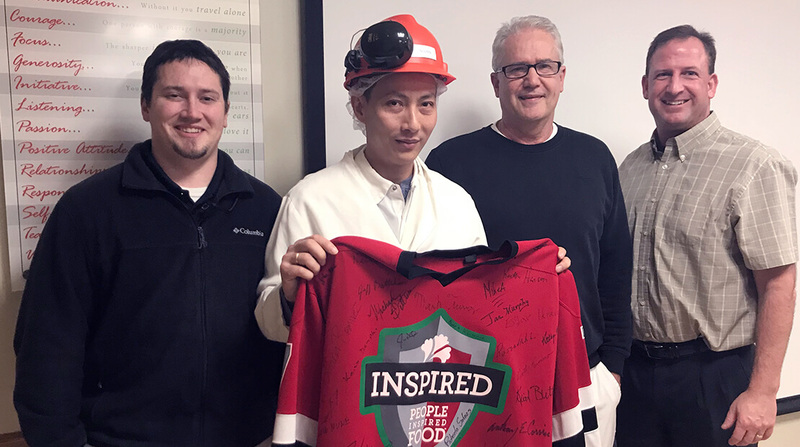 Hormel Foods has employed his family members for nearly two decades, giving them – and Nam – opportunities they never thought possible when they lived in Vietnam. 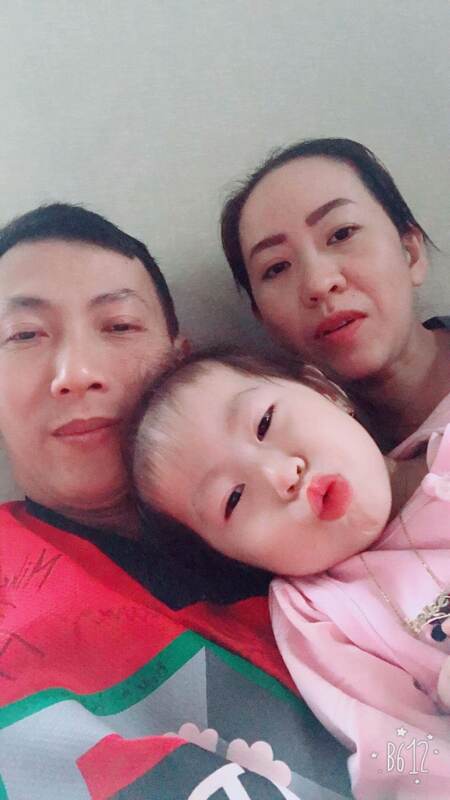 More to the point, working for Hormel Foods allowed Nam to save enough money to bring his wife and 2-year-old daughter to the United States in 2017. For the first time ever, the family is living under the same roof. It’s a dream come true for Nam, who “didn’t know about the United States” when he was a child. Nam is always willing to go the extra mile. Nam was raised by his grandmother; his father died before he was 2. As he grew older and began to think about his future, he looked to Bich. She came to the United States in 1991, moved to Austin several years later and began working for Hormel Foods in 2000. Nam knew one thing: Bich was happy with her new life. He asked her to sponsor him so he could emigrate to the United States as well. Seven years ago, “I came for a job,” he says, adding that his fiancé, Yen Anh, stayed back in their home country. “It takes thousands of dollars to come to America,” Bich says. Nam worked and saved, sending money to Yen Anh every month. He also returned to Vietnam to see her when he could. On one of those visits, the couple married. Soon after, Yen Anh gave birth to their daughter, Ngan, whom Nam has nicknamed Salas. Though she isn’t old enough to go to school, Salas is talking already of a career as a physician or an engineer “so her mom and dad won’t have to work anymore,” Nam says proudly. Of the 12 members of Nam’s family who are in the United States, four work on third shift in the sanitation department at the Austin Plant. They all gather at least once a year, usually for Christmas, when memories of Vietnam inevitably surface. “In Vietnam, we have gardens with mangos, strawberries and coconuts. I miss that,” Bich says. Nam longs for the food. Even good Vietnamese dishes in the United States “aren’t the same,” he says. Though Nam is sometimes homesick for the things that made his childhood special, he is far from regretting his decision to leave. He values the freedom Americans have to speak up for what they believe. “People will fight for human rights here,” he says.